For decades, members of my father’s family have insisted we have Native American roots. 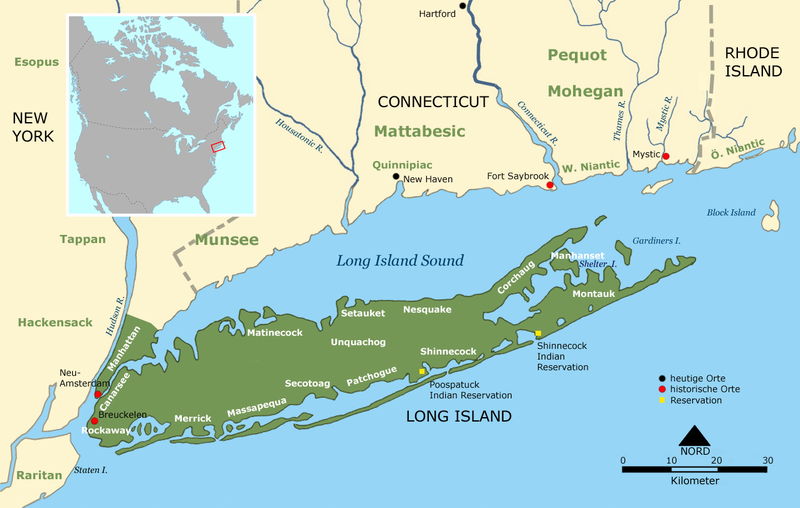 Years ago, before my grandmother passed away, she mentioned our connection to a “Long Island Indian woman.” My father recalls an old photo or picture of a Native American woman in his grandfather’s home and being told a similar story. Some months ago, I came in contact with a distant cousin from the same branch who was told the same story. I initially had my theories as to whom could be my Native American ancestor. Two women in particular were research targets: my third great-grandmother, Sarah Ann Carman (1820-1879, maiden name unknown) and my fourth great-grandmother, “Eliza” Golder (b. abt. 1800, d. unknown, maiden name unknown). Sarah Carman’s ancestry is being compiled but I have my suspicions she is a member of the Doxsie family. Eliza Golder has a stronger claim to Native roots because she is linked to the aforementioned distant cousin who was told the same Native story. It could be too that my rumored Native American roots are farther back, closer to when Europeans first settled in the New World. “American Indian Eliza” is the name I’ve given her because the only proof of her name comes from our family Bible and from Seversmith’s Long Island genealogy. And I have a strange feeling when Seversmith was compiling his genealogy, he was in correspondence with a member of my family. The general accuracy of his work through my great-grandparents is correct. For instance, instead of my great-grandpa’s first name, he states his nickname, meaning someone within that family, or close to that family, was likely his source. I have numerous non-Census sources that confirm my link to Eliza’s daughter, Phoebe Golder Langdon. Unfortunately, I have been unable to link Phoebe to Eliza through census or newspaper records. I hope Phoebe’s death certificate (coming soon I hope) will shed light on her origins but I am not optimistic given that my family’s death certificates consistently have “UNKNOWN” or “DO NOT KNOW” listed under “mother’s name.” (I know it’s common and a usual genealogical headache for many.) My research is on hold until more paperwork is studied or discovered. That leaves speculation regarding my genetic data. When I received my 23andMe results, I was pleasantly surprised to see a small patch of Native American genes located on Chromosome 4. I haven’t the vaguest notion of what these genes are responsible for but 23andMe has linked this segment to Native heritage. According to 23andMe, the portion of my genetics that is Native is relatively small, only 0.2%. However, the genes themselves are along a single line of code (23andMe’s speculative estimate), meaning it could’ve been part of a larger Native American DNA segment. There is a debate as to how much DNA from a single ancestor is distinguishable after a number of generations. I heard that is about six generations out (fourth great-grandparents), genes are so randomly mixed with successive generations that it is hard to parse out which segments belong to a specific person. 23andMe states that the ethnic breakdown represents what your DNA looked like prior to the Age of Discovery, when the world started to become a lot smaller. However, if you take it from that angle, there is a possibility that one ancestor of thousands from 1607 to today may be a Native American. Two-tenths of a percent may be small but it is not necessarily insignificant. Others have stated small segments of Native genes (or any other ethnic group) are statistical noise and do not represent a positive match for Native American ancestry. Eliza was my fourth great-grandmother (six generations removed), which is quite a large gap between the two of us. According to the above analysis, if this Native segment is from “American Indian Eliza”, it barely survived to the present day. That is if the segment pictured above belongs to “Eliza” at all? I’m hopeful that more of Phoebe and Eliza’s descendants are found and take genetic tests. Perhaps they have the same (or a larger) segment as me. Further still, if the Native segment is legitimate but does not come from the Golders, it must be from another family member I have yet identified as part-Native American. It is amazing what stories a microscopic strand of DNA can tell. It is both staggering and humbling.